Starting today, customers with an iPhone can use the free Amazon shopping app and try Package X-Ray to see what's in a box that's been delivered, without having to hide unwrapped presents around the house. SEATTLE--(BUSINESS WIRE)--(NASDAQ:AMZN) – What could be better than a single day of doorbuster deals? How about more than a month of Black Friday prices? Find new deals as often as every five minutes on Amazon.com for more than 35 days – now through December 22. Many of the best Black Friday deals on Amazon heat up during the “Turkey 5” – those five popular days of online shopping starting on Thanksgiving Day and continuing through Cyber Monday. Customers can gobble up something for everyone including electronics, toys, fashion items, and more at www.amazon.com/blackfriday. 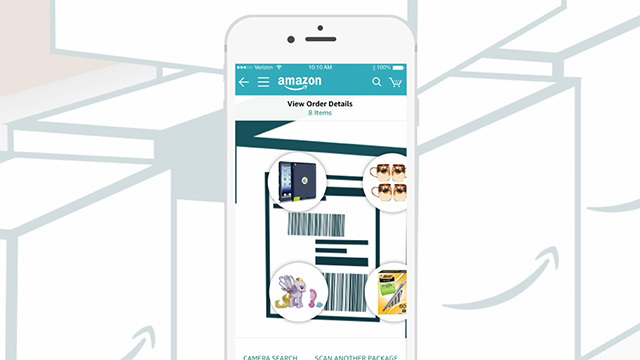 Download the free Amazon shopping app to easily track deals using Watch A Deal alerts that notify customers via a mobile alert when a deal is about to start. Plus, starting today, customers with an iPhone can use the free Amazon shopping app and try Package X-Ray to see what’s in a box that’s been delivered, without having to hide unwrapped presents around the house.